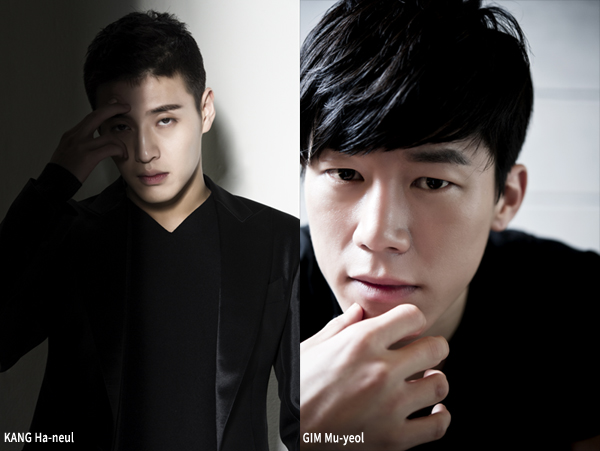 Night of Memories (working title), a new mystery-thriller featuring young actors KANG Ha-neul and GIM Mu-yeol, completed its three-month shoot on June 8th. The film is the latest project from director ZHANG Hang-jun and will be distributed locally by Megabox Inc. and Kiwi Company Co., Ltd. The story follows Yoo-seok (GIM Mu-yeol), who returns with no memory after being kidnapped for 19 days. His younger brother Jin-seok (KANG Ha-neul) chases after the truth. KANG has quickly risen to become one of the most recognizable actors in Korean cinema, with leading roles in Mourning Grave (2014), Twenty (2015), DONGJU: The Portrait of A Poet (2016) and New Trial earlier this year, as well as Midnight Runners, due out later this year. GIM became known to audiences in the drama Eungyo (2012). He was most recently seen in period war film WARRIORS OF THE DAWN last month. Night of Memories also features acting veteran MOON Sung-keun of Haemoo (2014), who is known for appearing in many Hong Sangsoo films and several 90s classics, as well as NA Young-hee, whose most recent film credits include Horror Stories (2012) and Unbowed (2011). Director ZHANG has previously directed two features, the 2002 comedy Break Out and 2003’s Spring Breeze. Since then he has been involved in a variety of projects in different roles, including as a script editor for A Hard Day (2014), a director of the 2014 TV show Sign and as a bit-part actor in several projects.